165 pages, fully indexed. Some illustrations. 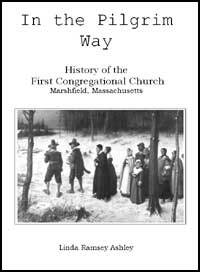 Includes a brief biography of all 29 ministers since 1632, with Church and community events during their ministry. Price is $19.95 plus $5. shipping and handling, or may be picked up at the church. May also call Linda Ashley at 781-837-5494.